A new era started for ASVEL, which got a new logo, a new naming sponsor, the biggest deal in the history of French basketball and also a new color, changing green for black. 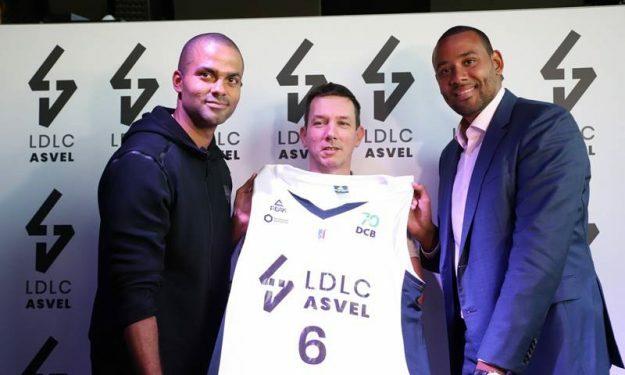 French club ASVEL, which is owned by basketball icon Tony Parker and has already secured a spot in the EuroLeague of the 2019-20 season, revealed a new logo and a new name. The club will be called for the next ten seasons LDLC ASVEL. As Tony Parker said: “This is an important moment in the life of the club, we want to make it more modern”. The partnership between ASVEL and the computer hardware sales company LDLC is a ten-year deal, “the largest contract in the history of French basketball,” according to Parker. The new colors of the club are black and white and there’s also a new logo for this new era. The traditional color of ASVEL, which has won 18 championship titles in France is green.